How to Recover Deleted Photos from Android Phone or Tablet? Accidentally deleted picture on Android and wish to retrieve it completely? Here is the worst situation, right? You accidentally deleted that one favorite or a bundle of lovely photos from your Android device. You regret on your accidentally operation but how to recover deleted photos from Android and is it possible to get them back? The answer is absolutely YES. why? In this post, you'll know everything about recvoering photos from Android. First, I'll show you why deleted photos can be found. Then, I'll help you get deleted photos from Android with or without computer. Finally, I'll recommend some tips to prevent losing Android photos by accident. Part 1. Why Deleted Photos Can be Restored? Part 3. How to Retrieve Deleted Photos on Android without Computer? Why Deleted Photos Can be Restored or Found Again? When you do factory reset on your device or there is a software malfunction as a result of which your photos become invisible to you. In reality, they are still there hidden in your device. Generally speaking, whenever a picture enters in your device, it is stored in the device making it address. And when you delete a photo or it gets deleted by any other means, it only means the photo's address gets remove not the picture itself. So, the deleted image which is now not visible just creates space for the new data to come into the device by hiding itself. So, a chance is always left to get deleted photos back on Android. Thus, the sooner you take action to this issue, the higher rate of success you'll get. So, when you find something important is deleted, what things you should to do for improving the success rate of recovery? - Make your device virus or malware free to avoid any further damage to your data by using a highly credible antivirus program. How to Easily Recover Deleted Photos from Android with Computer? iSkysoft Toolbox - Android Data Recovery is the most appropriate way to recover deleted photo with PC. The best part is, it can be used by anyone since it is really easy to use and doesn't require any technical skills. This program has gained great reputation among their users due to its accurate yet powerful recovery ability, easy to use operation and fast scanning speed. All of these have helped users greatly improve the working efficiency with this Photo Recovery for Android. Now, let have a brief look on the main features of iSkysoft Android Photo Recovery. This software gives a hand to the users for recovering not merely photos, but also contacts, videos, audios, messages, documents, call history etc. on Android. Allows users to recover from Android internal memory as well as SD card. On a plus, there are more than 6,000 Android device that can be supported by iSkysoft Toolbox – Android Data Recovery. Including Samsung, HTC, LG, Motorola, Sony, etc. 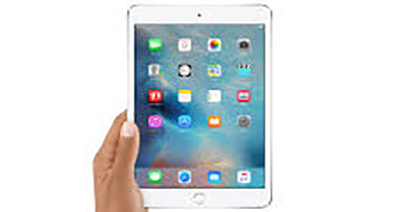 Almost all the data loss scenarios are supported, such as factory reset, accidental deletion, virus attacks, system malfunction and so on. Completely easy to use and come with a free trial as well. Step 1. Download and install the best Android Picture Recovery on your computer. Launch it and then connect your Android device to the computer by using a USB cable. 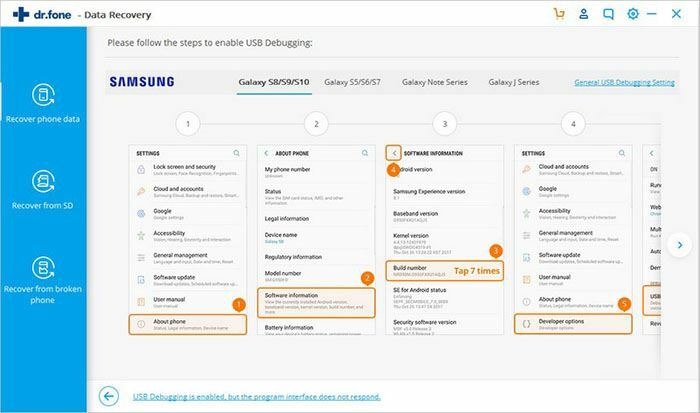 Ensure that the USB Debugging Mode is allowed while you connect your device. Then, clik on the Data Recovery option. Step 2. When the program detects your device, you need to choose the categories that you want to recover for scanning. So, if you only want to retrieve deleted photos, click "Gallery" and then hit "Next" to begin the process. Note: To get access to Android's internal memory, the connected Android phone should be rooted. So if your device is not rooted, this program will try to root it during the analyzing process. And it will undo root after the recovery. Thus, your device will be not changed after the recvoery. Step 3. The scanning may take some time to complete and it mainly depends on the size in your device. So just wait patiently, then you'll get a list of all pictures on your Android. Pick the photos that you want to recover and click "Recover" to perform the recovery. If you fail to find deleted pictures on Android by using the above method, you can try to have a scanning on your phone's SD card with iSkysoft Android Photo Recovery. 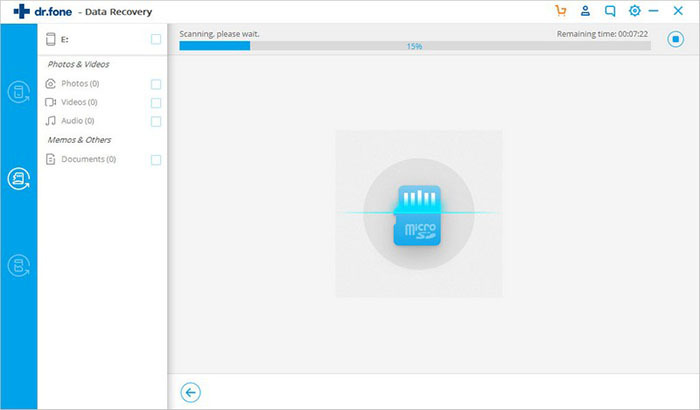 In this mode, you can directly perform a photo recovery on Android SD card without connecting Android to PC and it also no requirement of rooting. Step 1. Launch the program and click on "Data Recovery". From the window that follows, select "Android SD Card Data Recovery" (Do not connect the phone to the computer). Step 2. Connect your SD card to the computer using a card reader. When the SD card is plugged in successfully, click "Next" on the new window. Then Choose between the "Standard Mode" and the "Advanced Mode". 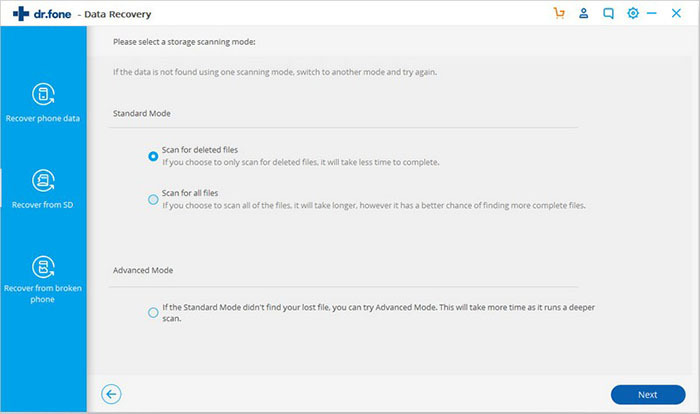 The Standard Mode is fast, and it saves time while the Advanced Mode takes a longer time to scan, but it scans deeply. Step 3. Once the scan is complete, go to the gallery category and select the photos you want to recover. Then click "Recover" and your photos will be recovered. How to Restore Deleted Photos on Android without Computer? There are lots of apps that you can used to recover deleted photos from Android without PC, and if you want to try these apps, you can go to Google Play and find an ideal app for yourself. But if you don't wanna to spend too much time on it, you still can pick up one from the top 5 powerful Android Photo Recovery apps list as you like. Here, we'll take an app called "GT Recovery" as an example. 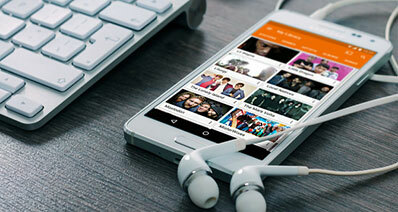 This is an app that allows the users to retrieve deleted photos on Android device quickly and easily. But it also needs a rooted Android device and can help in recovering various types of data like photos, videos, contacts, messages etc. And it can recover data that is deleted in various situations. Step 1. 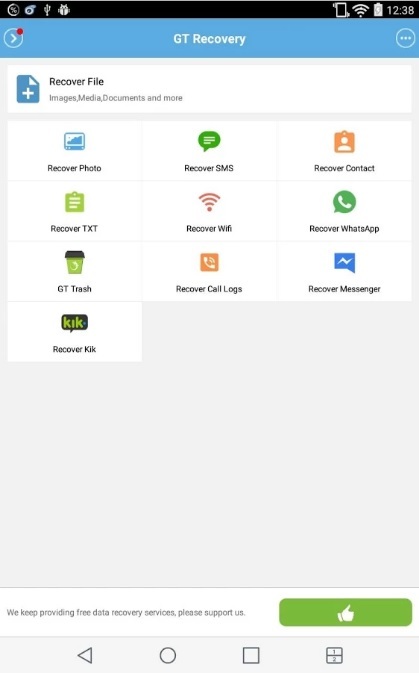 Begin with download GT Recovery app from Google Play Store and install it in your Android device. Step 2. Open it after installing and you will get the list of different file types like WhatsApp, SMS, Photos or Contacts. Step 3. Choose "Recover Photos" and you will be able to find your deleted photos sorted by name, size and timeline. Choose all the photos or just those you desire to bring back. And as soon as you pick out the photos, tap on "Recover" option. 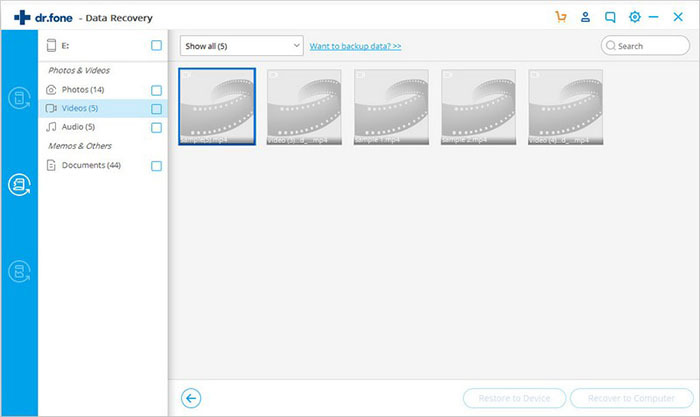 In order to ensure that you have all your photos back after accidentally deleting pictures on Android, you need to do a regular backup of all your data. Actually, you can use iSkysoft Toolbox - Android Data Recovery or Data Backup & Restore to do a regular backup of all your Android data. 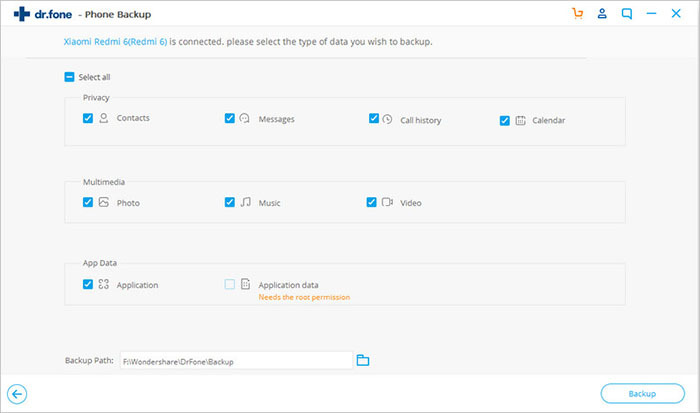 Or you can use your phone's official backup tool like Samsung Kies, HTC One Suite, etc. to create a backup of your device. No matter which kinds of backup tool you're choosing, the risk of data losing will be greatly reduced. What's more, here are some tips that you can use to protect pictures from being deleted on your Android device. Use a PIN or Pattern – you should protect your phone from being used by others by putting a PIN or Pattern on the Lock Screen. This way, children and others cannot delete your photos. Use an online account – You may also set up an online storage account that will be syncing your device with your account. This way, you have a copy of your pictures online and they will be synced on your phone, even if they get deleted. Protect your image folders – You can create folders for images that are important to you and then give them a password. This way, nobody will be able to delete the images from that particular folder. So, that's it for my guide to recover deleted photos from Android. I hope you enjoyed it. How can you get your deleted photos back on Android? Does the above methods are helpful to you? Or maybe you have a question about something from today's guide. Anyway, just let me know by leaving a quick comment below and we can discuss together about how to undelete photos on Android. How to Recover Deleted Photos from Android SD Card on Windows or Mac? rooted my samsung s6 so easily and quickly, recommend!